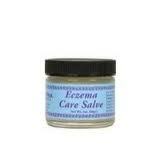 This product comes in a small bowl and is meant to soothe inflamed skin and rashes for people that have skin conditions. This is a great product for people with less intense symptoms, but is not right for those like myself with real issues with their skin. I liked the fact that everything in it was very natural and there was nothing with weird names that I didn’t recognize, but I guess you get what you get in terms of these things, and it did very little for me. The ingredients used are: Olive Oil Extracts of Organic Burdock, Dandelion, Oregon Grape & Yellow Dock Root, Black Walnut Hull, Calendula Flower, Chickweed, Echinacea, Nettle, Red Clover & Violet Leaf, Lanolin, Beeswax, Grapefruit Seed Extract, Essential Oils Flower & Gem Essences. I’ve used plenty of different oils and lotions in my time and I have to say that while this is fine as a placebo, it doesn’t seem to help my case at all. Even though I like really natural stuff, I would much rather prefer something that is a little more useful. I would gladly give up several natural elements in order to have something that is sure to cure me instead of something that I can barely count on. When I am dealing with a major outbreak I want something that will cause all of my symptoms to go away entirely, not just to lessen. Hi my 13 month child have eczema around his chicks and both corner of his upper lips, and the back of his legs. The biggest problem is the eczema on his face keeps flering all the time,or may I say, it never goes away, my child’s have been using rx. Cortizone for fee months, but I’m worried on the bad effects this cream may cause later on, the cortizone appear to work. But at soon as I stop the eczema flares again. Do you have any recommendation, too many creams I don’t know which. One to use. Ps my child is salivating a lot lately he is theehding and the saliva seen to aggravate his eczema, other reason I’m afraid of the cortizone use on his face,it may get some on his mouse even do I apply it only when he is asleep. Please I need some advice. Thanks. Sorry for all the misspelled word.